Be Ready For The Heat! I’m getting a few inquiries from cyclists thinking of coming to Portugal next summer and I keep giving out the same message – think about the temperature! With storms battering the UK – and a polar vortex freezing the Niagara Falls – planning a summer expedition somewhere hot is probably very tempting for many of us. But although Portugal is part of Europe, it’s also a long way south and summer temperatures can get excessive. 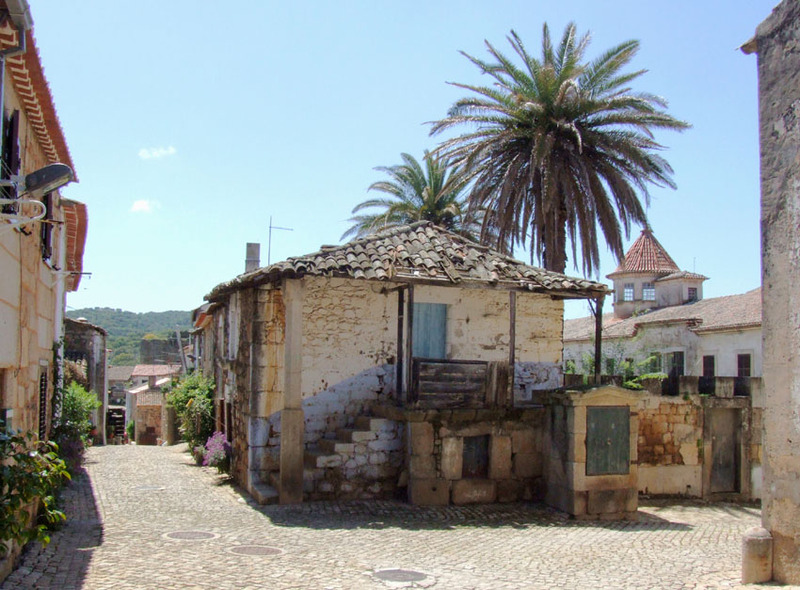 The historic village of Idanha-a-Velha. It’s only April but already hot… the palm trees are a give away. There’s a saying about the region known as Tras-Os-Montes that the local climate features “nine months of winter and three months of hell” – and that’s in the very furthest north east corner of Portugal. Come down south to the Alentejo or the Algarve and temperatures will regularly top 40C from June through into September. Breezes on the coast make it more bearable but head inland and you’ll be sweltering just sitting in the shade, let alone riding a bicycle. I don’t want to put anyone off coming here but, personally, I wouldn’t plan a cycling trip to Portugal for the summer. End of story. The best months for riding here are probably September to October and March to (early) June. But that’s just a generalisation. It can also be too hot to move in September and May. Equally, the winter months can be gorgeous – cold at night but day after day of bright sunshine. 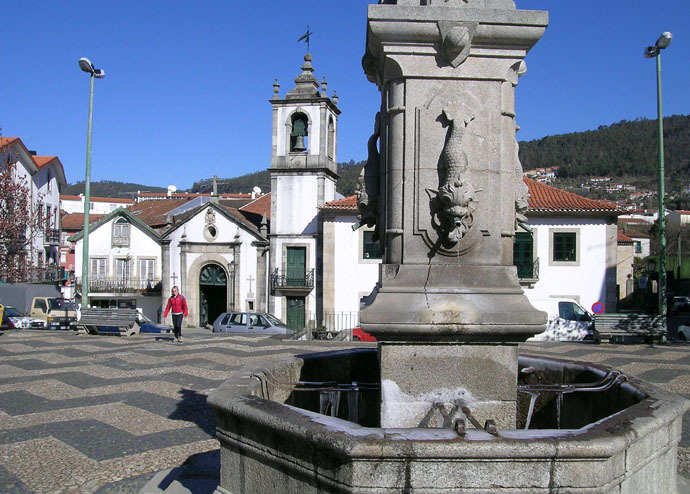 Arouca, a small town in northern Portugal, at the end of February. The skies are blue… but if you look closely you might see the icicles in the fountain! On my first trip through Portugal, my wife and I arrived in early January and cycled the length of the country on our tandem. We crossed into Galicia in early March and I can only remember a couple of wet days. We were also here through the winter of 2011-12 and had one day of rain between mid-December and early April! Holiday plans often have to fit around other things in our lives but don’t let the current winter weather where you are influence your decision on when to come to Portugal. Otherwise you might find yourselves dissolving in a puddle of sweat by the roadside wishing you’d gone to Scandinavia! Obviously, if you live somewhere like Arizona or Queensland then please ignore the above. It’s just meant as a bit of advice for those of us from cooler climates. Oh… and a belated Happy New Year to you all from Pedal Portugal. Hello Huw and your readers. I’ve been living in Portugal for 5+ years, having met Huw a couple of years ago here, and I can fully confirm everything that Huw says about the climate here with respect to cycling. I lived in the centre/north for 4 years and have been living in the Algarve for just under a year now, so I have a broad perspective of the cycling conditions, and there are some differences between the two regions. The most amazing difference is the winter weather in the Algarve compared to further north. The Algarve really is a year round venue for outdoor pursuits. By 9am most mornings, throughout the whole year, one can comfortably cycle in shorts and a couple of upper body layers. When I lived in the centre of the country, I would need full thermals for most of December, January and February. I also see touring cyclists on the roads in the Algarve all year round, so they must know something. I will say that if you do plan to cycle in July/August in any part of the country, you just need to be prepared to cycle very early in the morning and/or in the evenings. Also, if you want to see the real Portugal, you need to keep away from tourist areas. In saying that, from the coastal resorts you only need to head into the countryside for 10km, or less in some places, and you will be “in with the locals” amongst beautiful scenery and on very quiet roads. I live just 4km from the beach, yet I’m in a Portuguese village. This country is an under-promoted gem. Shhhhhhh! Hi Andy. Good to hear from you again! I’m not so familiar with the Algarve so if you’ve got any routes or rides you want to share then please let me know. Promise not to divulge your location! Cheers, Huw. Was desperate to cycle Portugal in July but I am going to heed your advice. Will have to find an alternative to maintain some sort of fitness!!! Once again, thanks!! Hi Al. Alternatively you could use my advice as an excuse to take your trip a couple of months earlier – if that’s possible. Or go in the autumn. One other advantage of not going peak season is accommodation is often a bit easier, both cheaper and easier to find.